According to George Candilis, Alexis Josic and Shadrach Woods, building for the masses was the primary function of architecture and urban design. They believed that humanism and regionalism were the two main concepts. Tom Avermaete wrote a thesis on the design philosophy and work of the three. 'And if there are no more cities, we return to savagery.' This is one of the two quotes from Shadrach Woods with which Tom Avermaete begins his book. It's a quote that rings differently in the weeks after the unrest in French suburbs. Certainly for those who interpret the disturbances as a sign of a lack of civilisation, or a 'return to savagery' as the English psychiatrist Theodore Dalrymple claims. Has the non-urban character of the banlieues indeed been exposed? Woods and his colleagues criticised the anti-urban character of these neighbourhoods before they were even built. High density by means of high-rise building offered no guarantee of urban character. Candilis, Josic and Woods, who worked together from 1955 to 1968, are primarily known as the French members of Team 10 and for their 1963 prize-winning competition design for the Free University in Berlin. Avermaete discusses their work in light of what philosopher René Boomkens calls the third stage of modernity: the rise of the masses. Candilis-Josic-Woods saw building for the masses as the most important task in architecture and urban design. To them this was not a negative fact because after all, they argued, architecture should be based on the underlying rationality of mass culture and mass production. They were not, however, referring to the rational planning of the banlieues, which were being built at the time. The banlieues were not based on the real lives of residents but on standard dimensions. Yet if there was one thing that could not be standardised, they insisted, then it was how people used the home and neighbourhood. According to Avermaete, research into the everyday use of the built environment lay at the heart of the work of Candilis-Josic-Woods and signalled an essential departure from the Modern Movement. The implications of this change are perhaps clearest in the project Cité Verticale in Casablanca (1952), which Candilis and Woods developed before they were joined by Josic. The two architects had met at the office of Le Corbusier while working on the design of the Unité d'Habitation in Marseilles. They also took part the well-known CIAM congresses and contributed to the development of the Grid, a presentation system that was introduced by Le Corbusier at the sixth CIAM congress (Bridgewater, 1947). The grid is a matrix of columns and rows in which projects can be presented analytically. The analysis should illuminate categories such as 'surroundings', 'built volume' and 'economic and social influences', elaborated of course with the four familiar CIAM elements: 'living', 'working', 'recreation' and 'infrastructure'. After World War II Candilis and Woods travelled to the French colonies in North Africa, where the mainly worked on housing projects. They were greatly influenced by anthropological research carried out by the Service de l'Urbaniste into the everyday living habits and surroundings of the rural population. They took this research as the starting point for housing schemes such as the Cité Verticale, which they presented at the ninth CIAM congress in Aix-en-Provence (1953). Their presentation didn't respect the obligatory CIAM categories and elements. Instead, it highlighted the living conditions and habits of the residents and showed how they influenced the design. This was a fundamental shift in architectural perspective that, according to Avermaete, cannot be dismissed as a vulgar generation conflict between the old CIAM guard and the young enthusiastic generation. To him an epistemological change had been revealed, a changed notion about how architecture gathers information and what its sources are. In contrast to the CIAM approach based on standards and on separating urban functions, Candilis-Josic-Woods (and Team 10) put forward residents and their living habits as the source of knowledge for architecture. That is why Avermaete calls the partnership 'epistemologists of the everyday'. It is precisely in everyday usage, the architects claim, that the inextricable complexity of urban life is expressed. Moreover, the home is where tradition and modernity come together. The Cité Verticale design is based on the traditional patio-dwelling and takes as starting point the meticulous transition from private to public domain in the Islamic tradition. At the same time, the design unites traditional elements with modernity such as multi-level buildings, technology and contemporary collective amenities. Avermaete contrasts this dialectic take on modernity – he calls it 'another modern' – with the neo-rational (Rossi and co.), populist (Venturi and co.) and neo-modern (Tschumi and co.) approaches. He argues that none of them arrived at a balanced analysis of both the city and countryside, of tradition and modernity. The approach taken by Candilis-Josic-Woods, he continues, is much more balanced, and all aspects are accorded their own place. The architects recognised the huge impact of modernisation on everyday life. Appliances such as the television, washing machine and fridge became available to the masses. That not only changed daily routines but also had an effect on the use of the urban fabric. Life withdrew from the public domain into the increasingly comfortable dwelling, a development that sociologist Henri Lefebvre calls the 'privatisation of life'. The increasing modernisation was not only greeted positively but also seen as a threat. Major changes also entail loss. Candilis-Josic-Woods took this twin experience of modernity as their starting point. According to them the dwelling could mediate between modernity and tradition, future and loss, identity and anonymity. 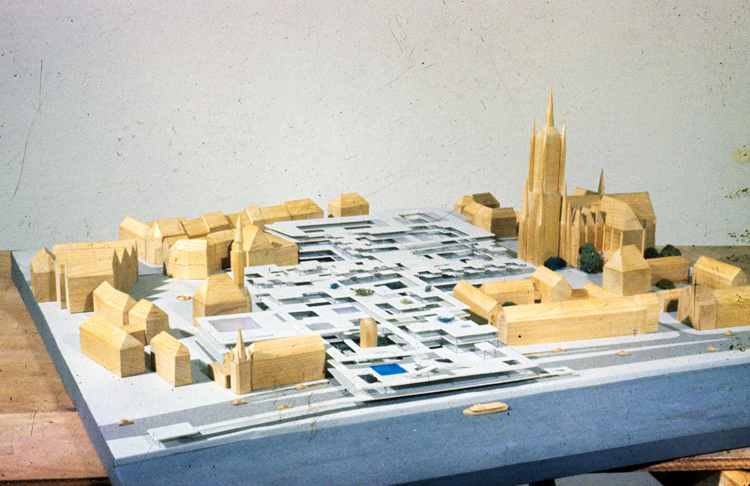 The existing landscape and old village and town centres could also strengthen the identity of new plans. Both visions come together in two concepts in the work of Candilis-Josic-Woods cited by Avermaete: humanism and regionalism. The concepts did not stand for standards and forms. Rather, they were expressions of their concentration on the culture of living as source, framework and content of architecture. Humanism stands for the focus on man and his living habits, regionalism for its geographic expression. Within this framework Candilis-Josic-Woods rediscovered the street, to them the ultimate urban space. Not the street in its traditional appearance but, rather, the network of relations between the various collective functions of the neighbourhood and the private domain of residents. 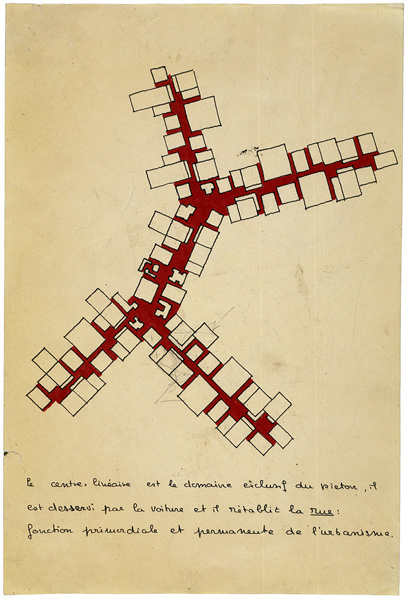 This idea resulted in the now-familiar concepts of 'stem' as the basis of the urban plan and the three-dimensional 'web' upon which their design for the university in Berlin is based. Another Modern is really amazing to read. Avermaete succeeds very well in placing the work in its context, which is essential to understanding this architecture and urban design. Moreover, the work is highly relevant today. Candilis-Josic-Woods studied themes that are again the subject of discussion in architectural debate: the importance of the landscape, the resilience of old structures, the city as network, the street as ideal urban phenomenon, and the necessary flexibility of buildings and urban plans. All of which makes you curious about the state of their work today. Has their often highly utopian vision survived the ravages of time? Have their dwellings and urban plans indeed been able to mediate between past and future – even if the residents turned out to have very different patterns of life? Do their urban plans survive the 'lost civilisation'? Answering these questions wasn't Avermaete's aim. Only one thing remains to be added to this wonderful study: a review of the completed work of the Candilis-Josic-Woods partnership.